Phil works as the Digital Services Manager at West Berkshire Council. He’s also vice-chair of LocalGov Digital, a collaborative network started by local government officers Sarah Lay and Carl Haggerty. Let’s take a step back as not everyone knows how local government is set up. GDS has 24 ministerial departments and 331 other agencies and public bodies on GOV.UK. In local government, there are over 400 councils, each with many departments themselves meaning there are thousands across the country. You can begin to understand the enormity of the task for anyone trying to do what GDS did, in local government. That said, a group of local government officers through LocalGov Digital are working to see how the Digital by Default Standard could be used in local government. This might seem like an impossible task, but we’ve had help. 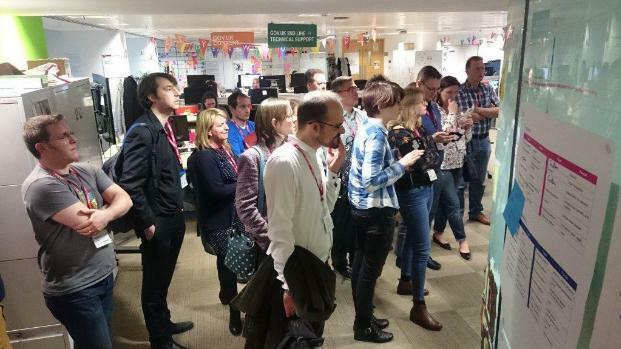 On 5 February 2016 people from over 30 councils came to listen to speakers from GDS talk about the Digital by Default Assessment. 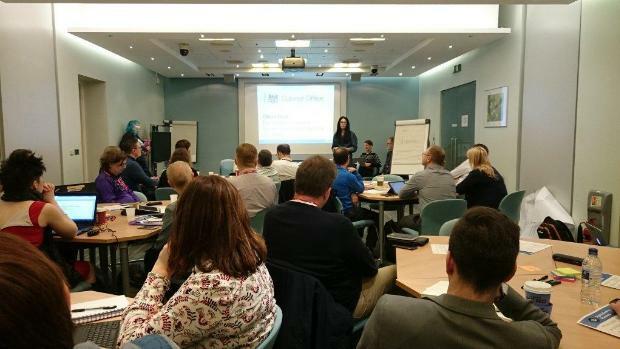 They took part in workshops to see how the Digital by Default Standard might be used or adapted in local government. 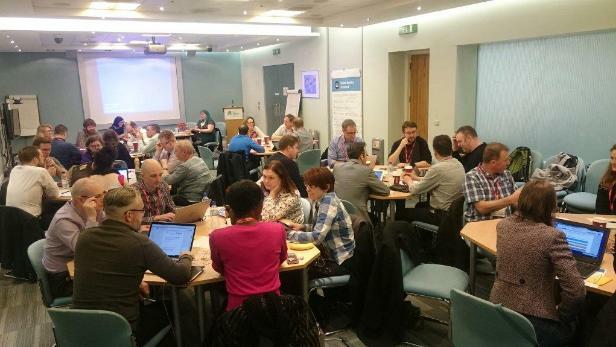 We could have filled a room twice the size, and this is testament to both the reach of LocalGov Digital and to the high esteem that GDS is held in. Work has taken place since and today we release the first public draft of the Local Government Digital Standard, for consultation. So why not just use the existing Digital by Default Standard? Some points aren't applicable to local government. For example, councils don't have ministers, so "test the service from beginning to end with the minister responsible for it" doesn't work in that form. There's also nothing about re-use of authoritative data or registers in the Digital by Default Service Standard. This is something that will become increasingly relevant in the coming year and hopefully another area where local and central government can work together. I’d like to thank GDS for their help so far. If you care about how local services are delivered please get involved by viewing the Standard. We want your help to deliver, not a business case or a nudge in the right direction, but the first Local Government Digital Service Standard for councils. This is particularly important if you are elected to, or work for a council. To make this happen it needs advocates embedded in local government as well as assistance from outside. The more of us there are, the stronger it will be, which can only be a good thing for the people we all serve. There is a lot of government culture & politics revealed in rule 8. Local government wrote: "Where possible use or buy open source tools and consider making source code open and reusable" whereas GDS chose "Make all new source code open and reusable". That's true, and it's also indicative of resource. Councils generally have far less digital design and development skill in-house than central government (and in some cases they have none) and use the private sector more, who are far less willing to make their code open source. It's with that in mind, and that the Standard has to work for thousands of departments, not just 24, suggestions were made to amend this point. I really support this - as GDS has highlighted, local council websites have very poor standards and need to learn a lot from GDS. Some council digital services are very good, others not so much. This work aims to make them consistently good through a common standard, something that does not currently exist, hence the varying quality. I think it's a great start Phil and I know you'll be iterating. I expect the creation and use of registers (point 17) will make it into the GDS Service Standard at some point! On point 5, do you think local councils should have in-house digital teams to iterate on services or is there something in there about creating partnerships with external suppliers that facilitate ongoing iteration and improvement? On point 5, I think it's up to individual councils how best to meet user needs. Some areas might have a thriving local tech/digital industry that's able to help them deliver many of their services, others might choose to deliver mostly through in-house capacity. It would seem to make sense to have a mixture between the two in most cases, retaining in-house capacity whilst supporting local businesses when demand dictates. A common standard for local government would also allow a third option, one council to support another (or many) through a shared digital service. I do always wonder whether a lot of the local council digital services could be consolidated somehow, like how GDS are trying to do. There's so much duplication of services for things like: finding out when bin collections are at your address, getting school term times, paying council tax, etc. It would save so much money if all of these things were consolidated onto somewhere like GOV.UK, because they're essentially doing the same thing in each council. Yes, I think they could, in fact they kind of are now because lots of councils independently buy the same product to do the same thing. Working to the same standard means they would be able to more easily collectively procure or build shared digital services, should they wish to.